The Atlantic Security Conference (AtlSecCon) will take place April 24 & 25, 2019, at the Halifax Convention Centre in Halifax, Nova Scotia, Canada. Preferred Hotel is the the The Barrington Hotel, mention AtlSecCon for the preferred rate. * Register on Sched to build your own agenda and to register for the free workshops (limited seating). We accept payment via the following Crypto Currencies. Please send us an email to arrange payment at tickets .at. atlseccon .dot. com. RFID Village was created to bring awareness to the security (or lack thereof) of different RFID technologies. Visit the RFID village to learn about RFID access control systems, payment cards and other uses of RFID technologies today. Learn through hands-on interaction how to clone an access control badge, or dump the memory contents of a simple payment card. Attendees should leave the village with a better understanding of what makes some RFID technologies better than others, and how to use RFID technologies securely. 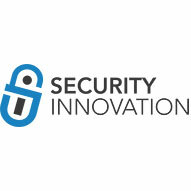 Created for DefCon 23 by security consulting and research firm Independent Security Evaluators (“ISE”), IoT Village delivers advocacy for and expertise on security advancements in Internet of Things devices. In 2018, the IoT Village launched an initiative to create Partner IoT Villages to expand the reach of IoT Village and bring awareness of IoT security issues to more security conferences around the world. The Zero-Day track is focused on the discovery and demonstration of new exploits (0-day vulnerabilities). This track relies on the judging of newly discovered attacks against embedded electronic devices. Devices that are eligible for the contest can be found here and you can start submitting entries now! The winners who score the highest on their judged entries will be rewarded with cash prizes. In the IoT CTF, players compete against one another by exploiting off-the-shelf IoT devices. These 12+ devices all have known vulnerabilities, but to successfully exploit these devices requires lateral thinking, knowledge of networking, and competency in exploit development. CTFs are a great experience to learn more about security and test your skills, so join up in a team (or even by yourself) and compete for fun and prizes! Exploit as many as you can and the top three teams will be rewarded. Check out the best lock pick gear available and talk to the pros about all things lock picking at the Lock Pick Village, by Sparrows Lock Picks!